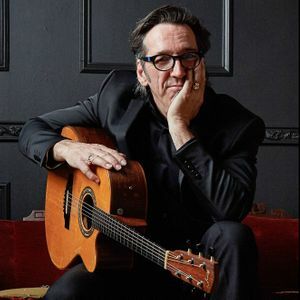 Stephen Fearing - SOLD OUT! Stephen Fearing’s music is a mesmerizing blend of roots, folk, and pop. Co-founder of Canadian roots-rock supergroup Blackie and The Rodeo Kings, he is a beguiling teller of tales and master guitarist who delights audiences throughout North America, the UK, and Europe. A multi JUNO and Canadian Folk Music award winner, his ninth solo album (Every Soul’s a Sailor) was named 2017 Worldwide Album of the Year by Blues & Roots Radio.